If you have ever wished that you could control your emotional and mental state on command, you have come to the right place. Most people view their mental states as being beyond their control. Although they know it's possible to influence them, they have always regarded each mental state as something that happens at random. However, everything has changed, and you won't want to miss the benefits with which brainwave entrainment can provide you. This proven approach will allow you to achieve any desired mental state anytime you want, and you will be thrilled when you experience it for the first time. But opting for the right frequency can even improve focus and creativity, allowing people to work with more productivity than they once thought possible. If you suffer from chronic pain, entrainment could be the solution for which you have been looking. 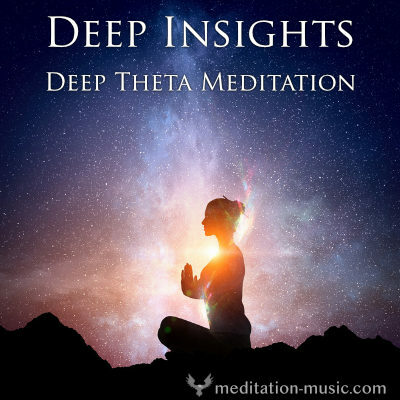 Those who want a way to relax or enter a deep state of meditation or even a much higher spiritual awareness are also pleased when they see what entrainment techniques can do for them. Would you like to improve the speed at which you can solve problems? If so, entrainment is a solution on which you can depend, and many people have already seen the benefits for themselves. Neurons, that are the nerv cells inside the brain, control every thought, emotion and sensation that humans experience. Our brains consist of billions of neurons, which are connected with each other and build a huge kind of network. These neurons communicate by using electrical impulses that fire at different rates, and the speed at which this happens impacts your state of mind. An enormous amount of electrical activity is produced in the brain by millions of neurons sending their electrical pulses simultaneously. The whole electrical activity can be described as a "brain wave" pattern. Researchers wanted to learn more about the process and to prove that these brainwave frequencies play a role in our perception of reality, so they used an electroencephalography, or EEG, device to reach that goal. After a researcher places probes on the scalp, the device records a person's brainwave activity for review. Individuals who were once skeptical now have enough evidence to investigate the different ways that external stimulus can trigger a range of emotional and mental states, forming the foundation on which entrainment techniques were built. After a lot of testing and research, technicians have recreated the frequencies of the brain in a way that offers a solution to common problems. Several studies show that two or more vibrating objects that are near each other tend to synchronize, and the firing rate of neurons is no exception to this concept. When you experience a particular stimulus, your neurons will identify and match the pattern in no time. 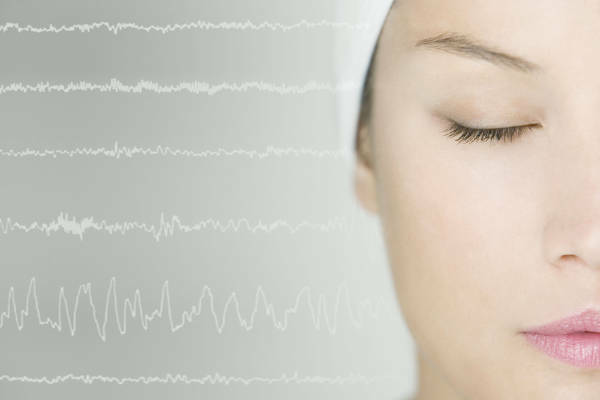 With the help of an EEG, scientists can pinpoint the brainwaves that induce different mental states, such as relaxation and focus. They can then match sounds with the frequencies of the desired mental state, and doing so is what makes entrainment a powerful method of controlling the mind. Some people did not expect the sounds to have much of an impact, but they were shocked by the results of the study. When you listen to sounds imitating the brainwaves of a mental state, your brain will begin to match it. Now that you have a basic overview of why entrainment is possible and how it works, we are going to zoom in on each frequency that the method targets and what you can gain from it. Gammy brainwaves are the highest frequency wave type with a frequency between 27 and 100 Hz (hertz -> unit of frequency = cycles per second). It is associated with higher brain functions. Those who would like to optimize their cognitive abilities will be pleased when they uncover the advantages of gamma brainwaves. In one study 1), researchers tested the ability of gamma stimulation to help children with learning disabilities, and the results speak for themselves. The children who were tested had demonstrated enhanced problem-solving skills, focus and memory, but that is not all. Another study 2) indicates that gamma stimulation can also help people with migraines, reducing the symptoms in 53 percent of the test subjects. Gamma brainwaves can also be very energizing and (from my own experience) induce very high mental states, spiritual awareness and blissful states of mind. For instance Tibetan monks show very high gamma frequency pattern, when they are in trance. Anyone who wants to enhance the processing power of the brain or to reduce pain can turn to gamma stimulation, and they will be glad that they did. Beta stimulation (between 12-27 Hz) is the next thing that we are going to examine as we uncover the advantages of controlling brainwaves. Beta wave pattern corresponds generally to the mental state most people are in during the day, especially while concentrating, focusing, solving a problem. Some people report feelings of fatigue and problems staying focused on the task at hand, and anyone who can relate to those issues can gain relief by activating beta brainwaves. Listening to beta stimulation can also combat the symptoms of attention deficit hyperactivity disorder. Students with an inability to concentrate at school have noticed significant improvements to their grades after getting the treatment. Those who suffer from chronic fatigue during the day have also noticed a decrease in their symptoms. Although each person's results will vary, some have used this option as an alternative to standard solutions. So beta stimulation helps us increase academic achievement 3) 4), boosting attention and focus 5) 6) or reduce fatigue 7). Whenever one is in a relaxed, daydreamy state or in light meditation, the brain is mainly emitting alpha brainwaves (between 8 – 12 Hz). In this state one feels relaxed and calm. It is also associated with a creative state of mind with free thinking and a "floating" feeling. Mental stress and physical pain can impact anyone's life and make it much more difficult to engage in normal activities and hobbies, and most people are desperate to find answers. Although some individuals turn to medications, others seek a natural remedy. If you can relate to that feeling, you are going to enjoy the benefits of alpha brainwaves. Increased memory performance 8) 9), reduced pain 10), decreased stress or anxiety 11) and deep relaxation are just of few of the things that you can expect from alpha stimulation. Those who opt for this path often find that it allows them to enter a state of meditation without much trouble 12) 13), but it can also take your memory to the next level. Theta brainwaves operate between 3 and 8 hertz, correspond with deep relaxation and early stages of sleep and are the ideal choice for those who want to manage and eliminate the symptoms of anxiety. Although other brainwaves can do the same, theta stimulation focuses on helping the mind stay calm during stressful situations. The people who volunteered for a test have reported that their symptoms were cut in half, allowing them to achieve peace of mind 14). This path will also make sense for anyone who wants to enter a state of meditation 15) 16) 17) 18) or hypnosis 19) 20) 21), and most people can reach the intended state within five minutes of listening to the sounds. So if you want to control stress or to access feelings of peace, deep insight and intuition whenever you desire, this option can help. Meditative theta states are also associated with vivid mental imagery and peacefulness. I, personally recommend using theta stimulation for any kind of autosuggestion. Notable in this context is the so called Schumann Resonance with 7.83 Hz in the area between alpha and theta states as it corresponds with the earth’s electromagnetic field. Delta brainwaves are with a frequency of 0.2 – 3 Hz the slowest of the brainwave patterns, occur basically during deep, dreamless sleep and are great for reaching elusive states of relaxation that will leave you feeling refreshed and recharged by the next morning. If your objective is to cure headaches 22), reduce anxiety 23) and sleep well each night 24), then delta brainwaves are the answer for which you have been looking. Of course delta stimulation is great for sleep induction sessions. You might not notice the benefits right away, but those who stick to the process for 30 days will not be disappointed. If you have anxiety or have been struggling with insomnia, then this method won't let you down. With the relief that you want just around the corner, you have nothing to lose. There are multiple methods for reliably guiding the brain towards a particular, desired brainwave frequency. 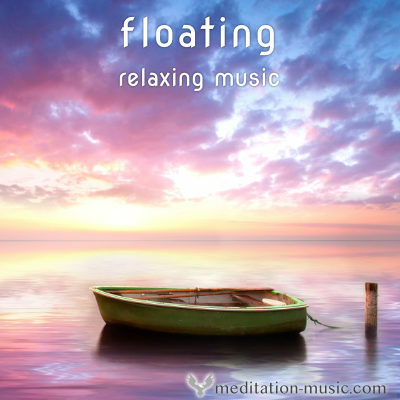 The most commonly known are binaural beats. This method is sometimes considered as a synonym for Brainwave Entrainment, but it is not. In this technique the person wears a set of headphones, and each ear receives one of two frequencies which are a few hertz apart in the frequency range of the brainwave the person is aiming to entrain. When the two tones combine inside the person’s brain, a third pulsing tone is experienced in the person’s awareness, which is in the frequency range of the desired brainwave. Neural activity inside the brain then synchronizes to this frequency, and the listener achieves the desired brainwave and state of awareness. Most people who are familiar with methods for entraining brainwaves have heard about it through binaural beats. One of the disadvantages of this method is that it requires the use of headphones, and the headphones and computer or other listening devise must be correctly set up in order for the binaural beats to be effective. Also, while this form of entrainment works for many people, it is not effective or pleasant for everyone. I, personally find this technique not the most useful way to enjoy entrainment if you want to have a superior experience. However, this method works well and has offered fantastic results to some people and so it has a place in Brainwave Entrainment. Monaural beats utilize a similar technique to binaural tones, but the sounds are combined before they are heard by the listener. The two tones are harmonized within the sound track and amplified through regular speakers, making headphones unnecessary. The use of headphones for brainwave entrainment is often a hindrance for people who otherwise might consider this technique for controlling their brainwave patterns. When you are serious about getting the most from brainwave entrainment, you can't go wrong with isochronic tones. Isochronic tones are one of the more sophisticated methods for entraining brainwaves, and many people find this method effective when other techniques are not. The isochronic entrainment technique uses the abrupt turning on and off of sound to form square waveforms and gradual shifts of sound to form sine wave forms. These sounds can then be combined in countless ways, forming chords and changing pitch to achieve a wide range and depth of audible sounds which entrain the brainwaves to a specific frequency. Isochronic entrainment also allows for fine-tuning by the user for achieving a personalized level of enhancement and eliminating harsh effects sometimes present in other entrainment methods. Besides allowing for a greater level of user involvement in adjusting the sound, isochronic tones also do not usually require headphones, although there are some recordings which utilize frequency variation to each ear, and these do require headphones for full effect. There are several other methods for entraining brainwaves. These include pitch panning which is a form of binaural tones using a single frequency to carry other sounds. Modulation of the tone between right and left speakers causes an increase of pitch on one side, creating the effect. Headphones are required, although pitch panning can also be done with a single tone, eliminating the need for headphones. Other auditory techniques of brain entrainment also involve the modulation and filtering of sound, and sounds can be sampled from any source for creating these tracks. The modulation and audio filtering entrainment technique can be used to create complex sound tracks using natural sounds like running water, bird songs, and ocean sounds, or to create sound tracks resembling classical or other music, or the entrainment frequency can be embedded into the music or other sounds. Brainwave entrainment can also be achieved through the use of visual stimulation such as pulsing lights which can be used alone or combined with sound effects. LED audio strobe glasses are an entrainment technique along these lines. The LED glasses are usually worn over closed eyes, and a light source flashes pulsed light which is visible through the eyelids, leading the person to the desired brainwave frequency. Autopan modulation uses any sound source and then moves the sounds in a 180º arc to create the desired tone. Sound is also switched completely on and off alternately between ears causing a bilateral stimulation of brain hemispheres similar to the technique known as Eye Movement Desensitization and Reprocessing (EMDR), which has become known as a reliable treatment method for post-traumatic stress disorder (PTSD). Autopan modulation does require headphones. Harmonic box entrainment techniques use a layering of binaural and monaural tones invented by James Mann. A carrier tone is mixed with two binaural tones to create complex harmonic frequencies. Sounds are alternated between ears requiring the use of headphones. Modulation and audio filtering of sound is yet another way of entraining brainwaves. In this method any sound track can be used, including the human voice or natural sounds, and a single component of the sound is then modulated or filtered. For example, the volume of one sound can be modulated to create a rhythmic pulse timed to match the desired brainwave frequency. While isochronic tones are often the most effective and versatile method for entraining brainwaves for most people, each of these techniques is useful and worth exploring to find out which brainwave entrainment technique works best for you. 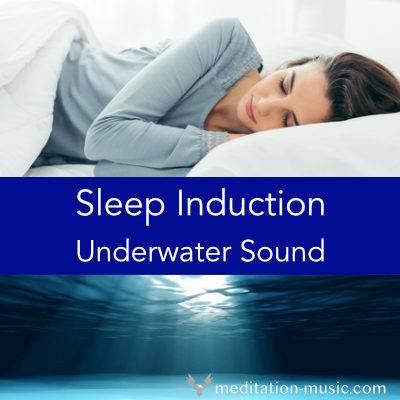 No matter if you want to reduce the symptoms of insomnia, manage anxiety or enhance your focus, using sounds that control your brainwaves will work wonders. But in addition to different methods, you will also spot several sources that offer entrainment techniques, promising to meet your needs. If you want to get an accurate idea of how entrainment can impact your life, you must only work with a trusted expert who offers proven methods. Doing so will prevent you from wasting your time and money on inferior products that won't allow you to obtain the full benefits. A caring expert will provide you with everything you need to get started, and you will know that you are in good hands. People from all backgrounds and walks of life suffer from anxiety, depression, an inability to focus and more. Although most people believe that medication is the only answer to their problems, that is not the case. If you have been searching for a way to control your mental state so that you can achieve feelings of peace and relaxation, it's time to explore the benefits of a proven technique that will address your problems. In other words, brainwave entrainment involves listening to sounds that use the same frequency as the neurons in your brain. 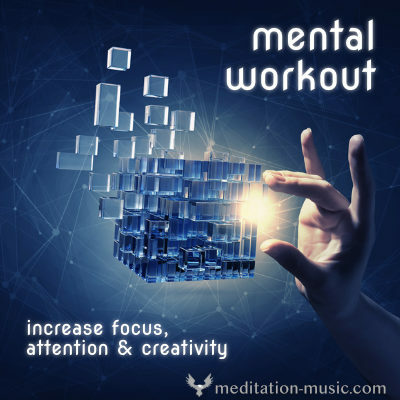 Obtaining any mental state is now as easy as pressing play on your computer or audio system. Even though tests have clearly demonstrated the benefits with which this method can provide people, some individuals were still feeling skeptical, which is understandable. The good news is that entrainment offers visible results that researchers can detect with brain scanners, such as an EEG. Once you decide what mental state you would like to experience, you will only need to pick the right frequency, and you will be moving in the right direction. Most people notice some positive changes right away, but the most profound benefits come after using entrainment for several weeks. If you are looking for an alternative to standard treatment options, overlooking the power of audio stimulation is a mistake that you don't want to make. Patrick GJ. Improved neuronal regulation in ADHD: An application of 15 sessions of photic-driven EEG neurotherapy. J Neurother. 1996;1(4):27-36. Williams, J., Ramaswamy, D. and Oulhaj, A., 2006. 10 Hz flicker improves recognition memory in older people. BMC Neurosci. 7, 21. Cahn BR, Polich J. Meditation states and traits: EEG, ERP, and neuroimaging studies. Psychol Bull. 2006 Mar;132(2):180-211. Takahashi, T., Murata, T., Hamada, T., Omori, M., Kosaka, H., Kikuchi, M., et al.. (2005). Changes in EEG and autonomic nervous activity during meditation and their association with personality traits. International Journal of Psychophysiology, 55,199-207. Faber, P. L., et al. "Scalp and intracerebral (LORETA) theta and gamma EEG coherence in meditation." International Society for Neuronal Regulation, Winterthur, Switzerland (2004). Cahn, B. "Meditation States and Traits: EEG, ERP, and Neuroimaging Studies." Psychological Bulletin 2006, Vol. 132, No. 2, 180-211. Kroger, W. S., & Schneider, S. A. (1959). An electronic aid for hypnotic induction: A preliminary report. International Journal of Clinical and Experimental Hypnosis, 7(2), 93-98. Sabourin, M. E., Cutcomb, S. D., Crawford, H. J., & Pribram, K. (1990). EEG correlates of hypnotic susceptibility and hypnotic trance: spectral analysis and coherence. International Journal of Psychophysiology, 10(2), 125-142. Solomon GD. Slow wave photic stimulation in the treatment of headache preliminary report. Headache. 1985;25(8):444-446. Siever, D. (2002) "The Rediscovery of Audio-Visual Entrainment Technology.